A small group of kids, last minute get together or weather not cooperating? Join us for one of our Public Jumps during the weekdays days, weekends only if space is available (reservations required) and get the use of our party room afterward. 30 minutes for $150 - $200 on weekends (This price is in addition to Open Jump admission price). You may bring your own cake, cupcake, and ice-cream (NO OTHER OUTSIDE FOOD AND DRINKS ARE ALLOWED). You may purchase food and drinks from us. We also have balloons and goodie bags for purchase. You will get your own party coordinator to help you set up the room, help inside the room and clean up, so you can have a hassle-free experience. Reservations and pre-payment for any jump, as well as $50 deposit for the Party Room, are required. Regular jump price must be paid at the time of booking semi-private in order to hold your space in our public jumps. Public jumps are subject to change if not paid in advance. Coupons and Jump Passes cannot be used if Party Room is booked for Semi-Private Party! Signed waiver and socks are always required! 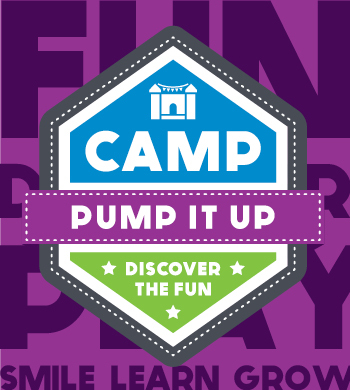 Drop your kids off at Camp Pump It Up where the doors to imaginative play open through themed programs and activities. Our camps build healthy bodies and minds by combining active play with projects that promote creative thinking. $180 for a second child. 24 Hour advanced registration is required, based on availability. Socks and waivers are required to jump! 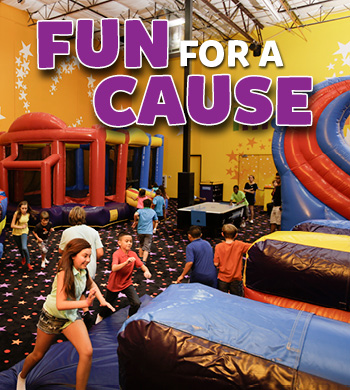 Plan your 2018 Fundraisers, Auctions and all other Events at Pump It Up! 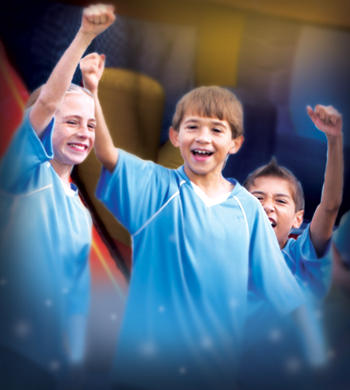 Is your school short on Funds, we at Pump It Up have a solution! Pump It Up Tacoma offers a Fundraising opportunity for your school that will meet your school needs. * Fundraising event - where kids can jump and we arrange food for them and their parents, while you can split our profit 50/50. * Auction event- you can have a silent auction while the kids can enjoy jumping, once again, profit split 50/50. * Team parties, graduation parties - and we will provide a gift certificate to all the kids for a free jump at Pump It Up. * Field Trip - all needs and help provided for. * PTA Meetings that can be fun - and no need to worry about your kids as they jump on our inflatables. * Spirit Night - celebrate school spirit with a shared profit. Jump, Climb, Slide, and Bounce your way into the Pump It Up Spirit Day, Team & Graduation Party in a private, safe, clean, climate controlled environment! 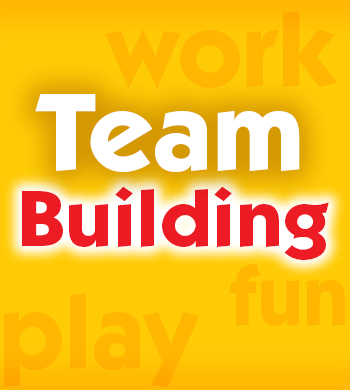 Our Spirit Day, Team & Graduation Party includes 30 minutes in each of two separate bounce arenas and 45 minutes in our party room where pizza and beverages will be served. Call 253-267-2270 for more details. or $4.75 for each adult.